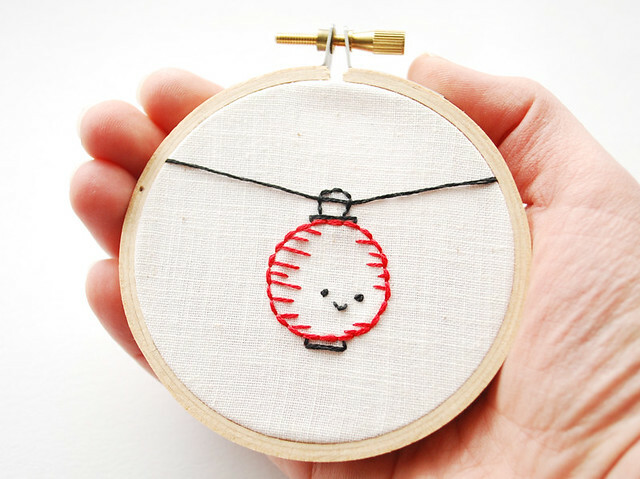 Monday is Chinese New Year, and so I thought it a good time to stitch up some little lanterns. These ones are teeny tiny, which is my favorite kind of embroidery! After I did the lantern embroidery, I threaded a bit of floss through the hanger on the lantern, then secured the ends of the thread in the hoop edges. I like that it looks like it's hanging there! Along with the design you see here, there are three more styles that I've drawn up for you. Embroider a whole bunch of them! They're tiny and quick to stitch! If you stitch some of these up, I'd love to see them! Add your photos to the Wild Olive group on Flickr, or leave a link in the comments. Thank you Mollie, they are adorable! You come up with cutest ideas. These would be great stitched on placemats and matching napkins to use for a special dinner on Chinese New Year. Unfortunately then I wouldn't want to use them for fear they would get mussed up. LOL :) I love your blog!!! This is seriously so cute! 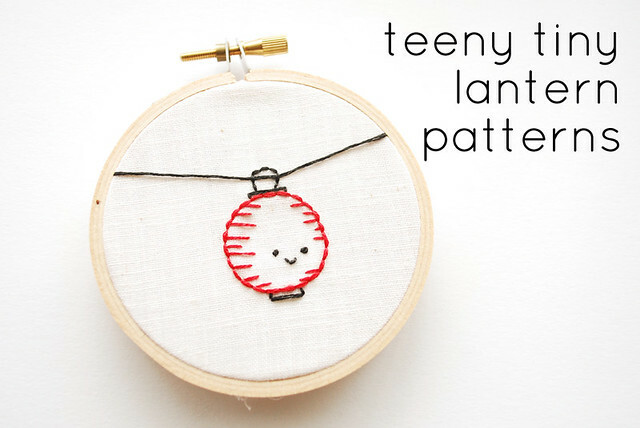 I normally don't celebrate the Chinese New Year but I am dying to make one of these cute lanterns. Oh goodness! These are so cute!! I've been wanting to hang some lanterns in my room but I think I'm going to make these instead! It'd be SOO much cuter!! I just love your blog!! I can't tell you how MUCH I love this! It's adorable, especially for lantern lovers like Jen and I. ^_^ Thank you!!! oh they are just darling! Thank you for sharing them with us, I can't wait to stitch them up! These are so cute! 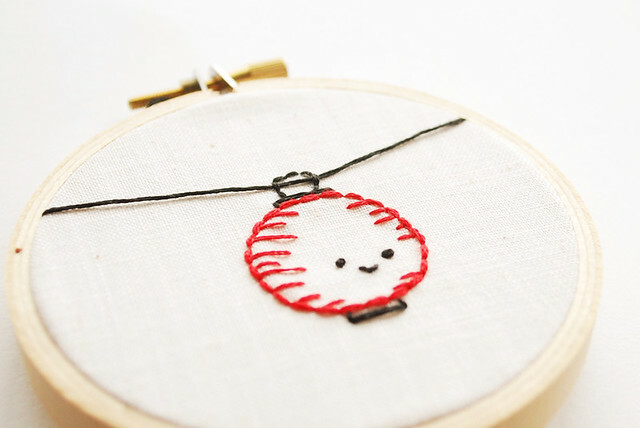 I love little embroidery hoops. What a simple but lovely idea. These are SO adorable. Thanks for sharing them! Knid regards from Paris ! SOOOOOOOOOOOOO SUPEEEEEEEEEEEEEEEEEEEEER CUTE !!!! >.< !!!!!!! !